If you were wondering; I do have an interest in a large selection of music genre’s, as an ex Radio DJ of a Blues Show also one devoted to legendary guitarists, I’m sure you can imagine.. There are simply for too many Bands / Solo Artists that I do like.. to add them all at any of my accounts such as you Tube.. << which is extremely eclectic, so don’t take it too seriously heaps of folders etc, but nowhere near the totality of what I like There are also about 300+ pins on my Music Board on Pinterest, featuring both video’s and photo’s. Hey very nice blog!! Man .. Excellent .. Amazing .. I will bookmark your website and take the feeds also…I’m happy to find so many useful info here in the post, we need work out more techniques in this regard, thanks for sharing. . . . . .
Really cool website! I loved it! 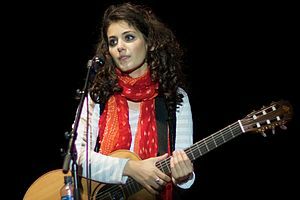 My 1st visit to your site and I spotted “Katie Melua” on your LH menu bar. Can’t believe you’re into Katie Melua, like me. Superb artist and in my ear most evenings. I must be telepathetic! I’m so glad! Have her first album / cd. I remember seeing your twitter avatar and thought it was ‘tres cool’… so thanks Bob!